Singapore Airlines Premium Economy Class is coming to India and soon. It will start operating from October 25, 2015 on Delhi and January 2, 2016 from Mumbai sector. Today they unveiled the new premium economy seats at the DLF Promenade in New Delhi. 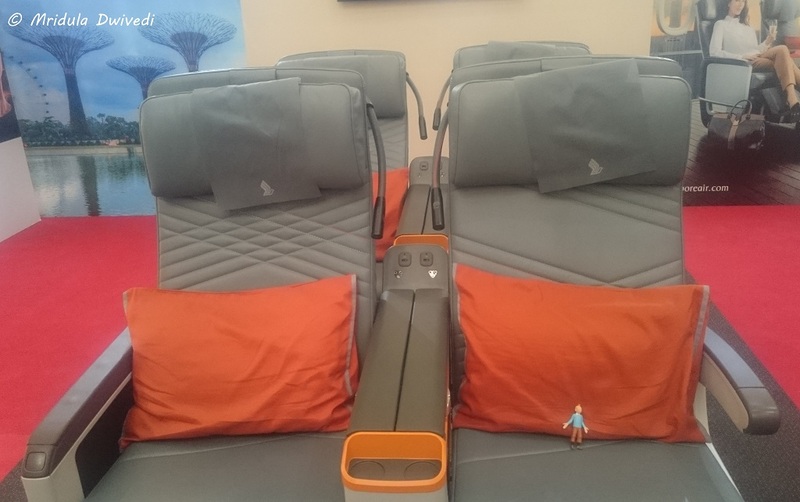 Tintin Checks out the Singapore Airlines Premium Economy Seats! Tintin was one of the first people who got to check it out. He liked the bright colored cushions, HD TV Screen and the feel of leather. We were told that premium economy seats carry 1.8 times more space than an economy seat and cost 50% more! For example the fare for economy Delhi Singapore is 28,000 Indian Rupees and 45,000 for premium economy. 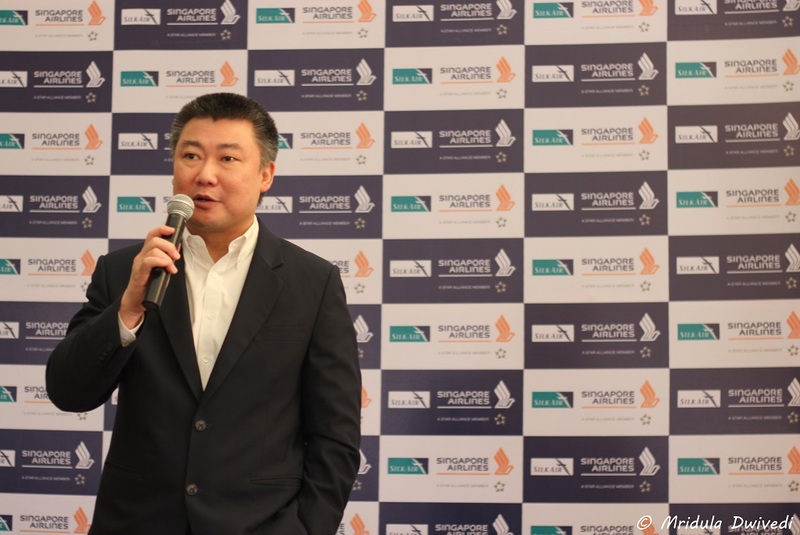 While addressing the press conference Mr David Lau (General manager, India for Singapore Airlines) repeatedly stressed that the focus was not on how many inches extra were available but the experience that one got while flying Singapore Airlines. Priority boarding and baggage is avail for premium economy- the order being suites, first, business, premium economy and economy. 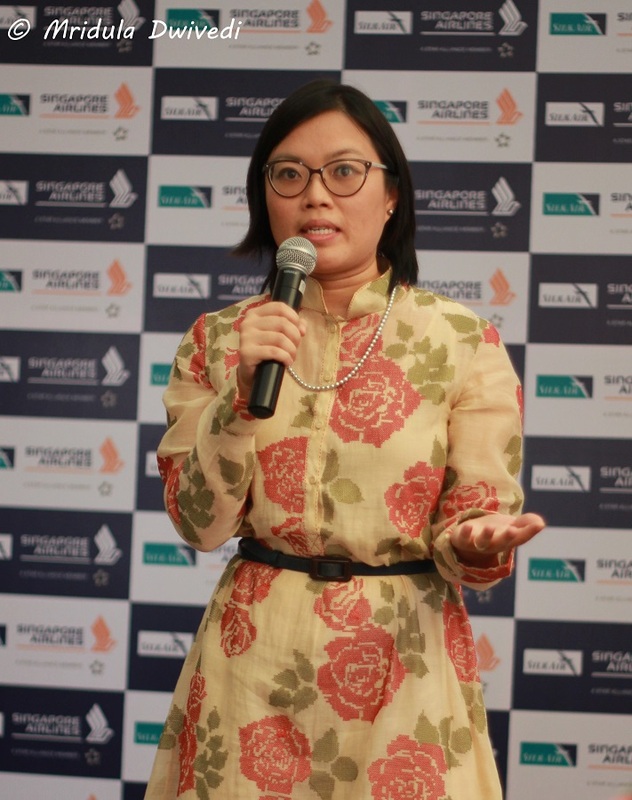 He was quick to add that all customers were catered to according to the finest traditions of Singapore Airlines, irrespective of the class you were flying. To begin with the premium economy is available only on evening and night flights from Delhi and Mumbai. He mentioned that they are noticing a new pattern of flying in premium economy. While the whole family or groups tend to fly either business or economy, he said passengers would split up in premium economy. He mentioned an instance when the family flied economy but they put their parents in premium economy as a mark of gratitude. 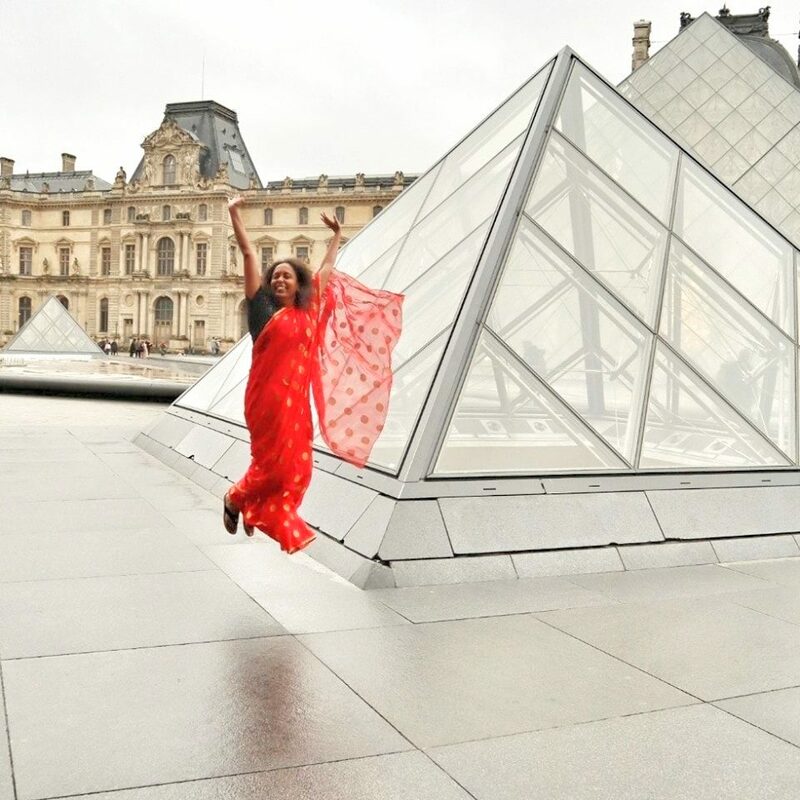 Singapore Tourism Board is also co-promoting the destination along with the launch of the premium economy class in India. Two people flying premium economy (for full terms and conditions please check the website) would get SG $ 50 gift card each to spend in Singapore. The event started at 11.00 am and when I checked my watch next it was 1.00 pm. 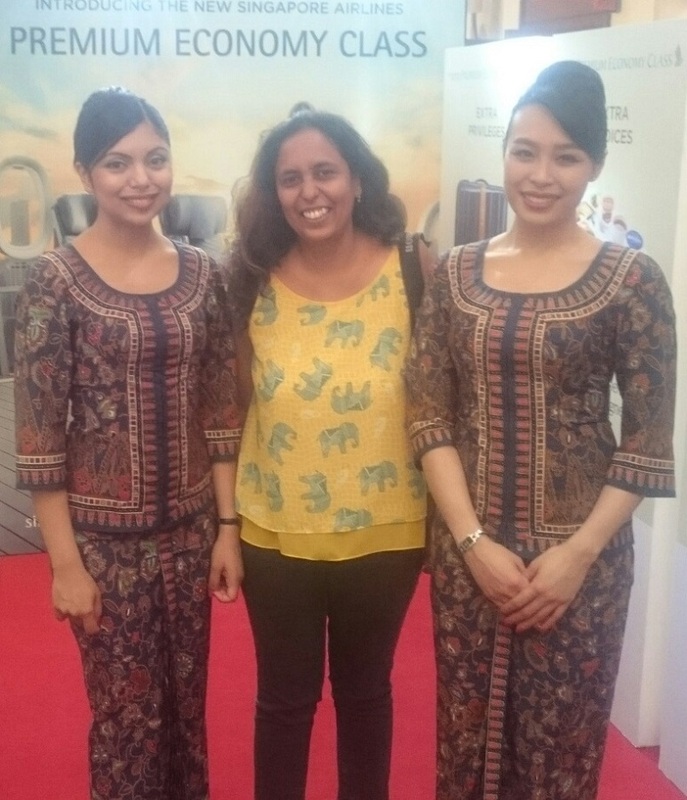 I spent an enjoyable time at the launch of the premium economy seats of Singapore Airlines in New Delhi.